With its new «Shoe World», Jelmoli is taking a step in a new direction: Shoes are presented much like works of art and a mobile app supports salespersons when advising customers. In Jelmoli's new «Shoe World», shoes are presented as works of art in an area of ​​approximately 1,400 square meters and can be tried on in a cozy atmosphere. Yet not only the exhibition concept is exceptional: If a customer is interested in a particular model, the salesperson can conduct an inquiry on size and design availability via the Jelmoli scanning app and within minutes the right shoe is already there, ready to try on. Sales staff constantly carry the iPhone with the app in a stylish bag. The advantage: the customer can be advised directly on-site at the store and the client immediately knows whether a model is available in the desired design. 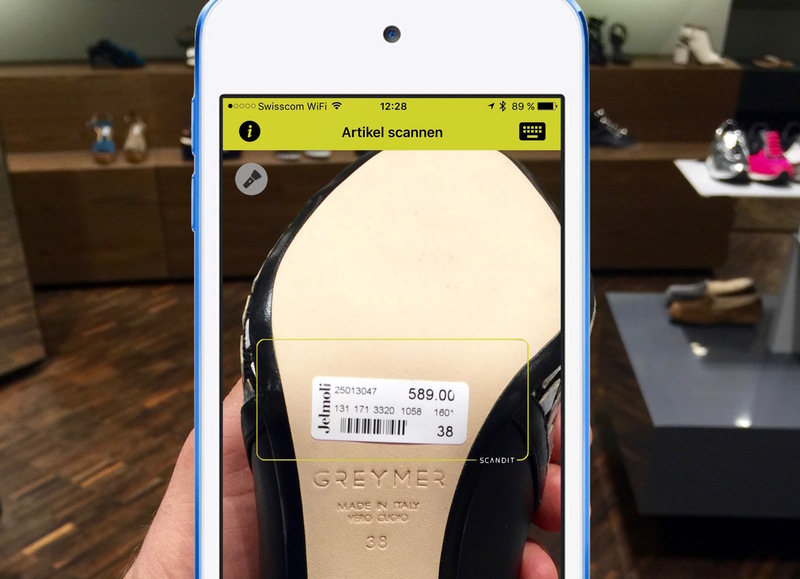 The iPhone app, realized for Jelmoli IT by appculture on behalf of accomit, was developed in native language and is equipped with the Scandit high-performance barcode scanner. The next phase is already in the planning stages: The app will include even more supportive features.